According to a survey conducted by CreditCard.Com, more than a third of Americans incurred debt over the holiday season. I have always said that you will have more money if you are earning interest on it instead of paying interest to someone else, but I had to learn that lesson the hard way because I left the military after 12 years of service with over $32,000 in credit card debt. The sad part is that I did not accumulate that debt because of a medical emergency or because I lost a job. I was in the military and my housing was paid for, my food was paid for, the Army provided me with a uniform, and my dental and medical were free. The bottom line is that I spent more money than I earned. To be brutally honest I didn’t need to wait for a holiday to use my credit cards; I used them all the time! I would charge a little here and a little there and the balance would continue to get larger and larger. As long as I could afford the minimum payment, I thought I had it under control. Back then I thought my real issue was an income problem but in reality, it was because of my spending. So what caused me to spend so much? I overspent because I thought I would be happier and wanted others to view me differently because the clothes I wore, the car I drove and the money I spent. It wasn’t even really my money; it was someone else’s because I had to pay that money back, plus interest. Finally, I got sick and tired of living paycheck to paycheck. I didn’t want to be in credit card debt and I finally understood the root of my problem. I am hopeful you are not in the same dire predicament but if you did happen to acquire some credit card debt over the holidays, the steps I took to solve my problem can almost certainly help you get out of debt for 2016. I blamed being in debt on not making enough money. I always said my next pay raise would finally make things better for me. But it didn’t matter how much more money I made, I seemed to always spend more. Once I quit blaming my problems on things I couldn’t control the amount of money I made and acknowledged that I had a spending problem which was something I could control, I was able to take the first step of getting out of debt. When I asked myself what I had to show for $32,000 of credit card debt, I did not have an answer. This was eye-opening. The way I fixed that problem is that I started keeping a spending journal. I would ask for receipts and write down exactly what, where, and how much money I spent. Sunlight is the best disinfectant, so if you hold yourself accountable for recording all of your expenditures you will start to uncover wasteful and unnecessary spending and eventually start to spend less. You want to tell your money where to go, instead of your money telling you where it went. You might wonder what building your savings has to do with getting out of debt. Savings is the cure for debt! Nobody plans on unexpected financial issues, but the truth is, it is not a matter of if you will have one, it is only a matter of when. Unanticipated medical bills, home repairs or vehicle problems are just a few examples of things that can happen and if you don’t have any money in savings, you will very likely have no choice but to use your credit card to pay for it. Your goal is to set aside a minimum of 5-10% of your income towards your emergency savings that are safe and easily assessable. (i.e. FDIC Savings Account). In my book, I mention that your first goal is to have at least $1,000 in savings, but ultimately you should have a minimum of 3 to 6 months of your income saved that is separate from your checking account, retirement accounts, or any other savings goals. 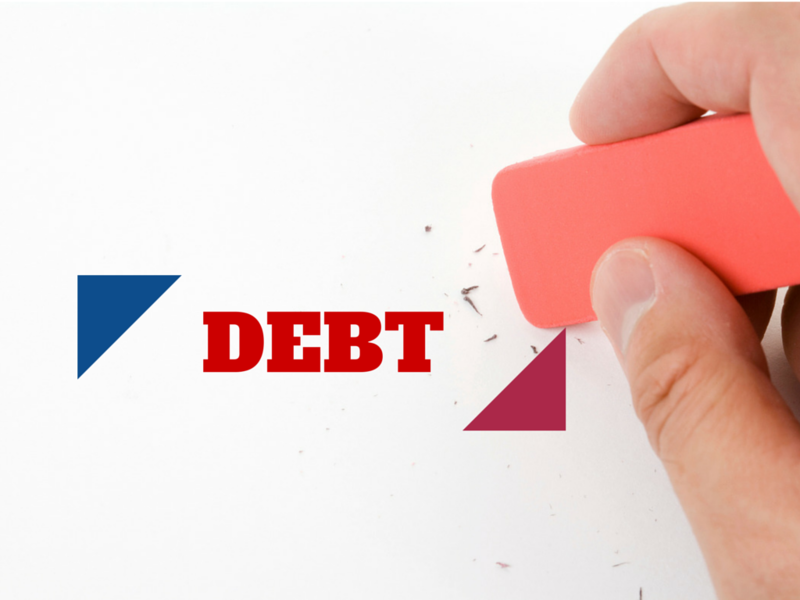 There are two strategies you can consider when developing a plan to get out of debt. But for either one to work, you have to quit charging on your credit cards and you must be able to pay more than the minimum payment. One way you can tackle your debt if you have multiple credit cards is to pay more towards the credit card with the lowest balance and pay less towards the credit cards with the larger balances. Another option is to pay more towards the credit card that is charging you the highest interest and less towards the others. Whichever option you choose, the most important part is whenever you pay off one of your credit cards, you take that payment and apply it to another debt until all of your credit cards are paid off. When the going gets tough do you get going? I can tell you from my experience that it can be tough staying committed. The truth is that I didn’t get into $32,000 of credit card debt overnight so there was no way I could get out of debt overnight. I understood that making a commitment meant I would be required to make sacrifices now, for something better later. I relate it to diet and exercise. You don’t see a lot of results in the beginning but the longer you stick with it, the better the results will be and the more motivated you will become. By staying positive and living one day at a time, there isn’t anything you can’t accomplish if you will just stay committed. Getting out of debt has more to do with your behaviors than following some formula because at the end of the day it is not what we know but what we do that makes the difference. Start taking accountability for where you are spending your money. The goal is to start spending less which means you need to have a spending journal to see exactly where your money is going. As for building your savings, the antidote to debt is having money put aside for the unexpected bills that always seem to come up at the worst of times. Develop a plan that makes sense to you. If you are motived by winning the little battles, then focus on paying off the debts with the smaller balances. If you want to pay the least amount of interest, you may consider concentrating on the debt that is charging you the most interest. Finally, you have to be committed. There were many times when things got difficult and I questioned if I would ever be able to get out of debt, but I can tell you that I stuck with it and if someone like me was able to get out of $32,000 of credit card debt, I have no doubt that you can too! This amazing article what i was looking for and good idea here. Thanks for sharing with us. In debt 20,000. No light at the end of the tunnel.